Tracey Groves (ACA) is a Partner, Forensic Services, Ethical Conduct and Regulatory Compliance at PricewaterhouseCoopers LLP. Tracey has twenty years of advisory experience in PwC advising clients in the implementation of strategic change in areas of financial crime and business ethics, regulatory compliance and behavioural risk. 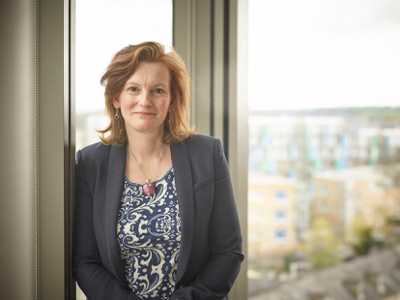 Tracey is a specialist in behavioural change, training design and development, facilitation and in improving organisational effectiveness in behavioural risk management. 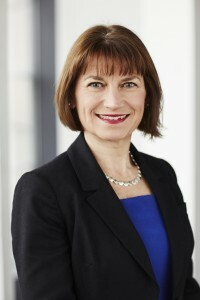 Tracey has published many PwC thought leadership papers including “Ethical Business Conduct – the holy grail” April 2014, and publications on Tone from the Top and Codes of Conduct. I am an Armed Forces child so grew up in many different Air Force bases around the world and the UK. I think this armed me with my passion for diversity and difference; it was an integral part of my childhood fabric, changing and adapting to many environments on a regular basis. I joined PriceWaterhouse in 1991 as a trainee chartered accountant, as a music graduate from Durham University and also as a Commissioned Officer in the Territorial Army. You could say I have always tried to cram a lot into my life! No. I was brought up to believe that if I wanted to do something then I had to make the time to do it and to try to the best that I could be. That philosophy has stayed with me all my life and how I approach my career. I have faced plenty of challenges! The way I have dealt with them has changed as I have grown and developed. In the early days, I would take it personally and sometimes would try to take on the world single-handedly. Today, being older and wiser, I know that challenge is all part of the job and a positive enabler of getting to the right decision, and that it is not personal. I now consult widely and seek advice on how to respond to the various challenges that come my way. It could start with a burst in the gym which I find a great way to relieve stress and also fabulous thinking time. My best work ideas come from a session on the bike or on the treadmill. Or it could start with a review of what’s going on via Twitter and LinkedIn and some postings from me. A typical end of the day could be a work function or dinner with clients, a gym session if I’m feeling guilty and haven’t been for a while, or an evening at home with my husband. I rarely sit still though – it will be a busy evening doing jobs around the house if I’m at home! A recognition that flexible working is not an excuse not to be in the office but a way to work more efficiently and effectively. Consult widely and seek out the experience of those around you who are good at what they do. Build a strong support network – both at home and at work. Identify who are your advocates and reward them with your time and attention – they will pay you back in heaps. If there was one thing you could change about the corporate world, what would it be? Define what you stand for and who you are. Build up a portfolio of activities and roles that reflect your personal brand on a consistent basis so that you come across with integrity and with congruence. Be consistent in what you do and how you do it, and work with your advocates to provide the platform for you to get noticed. I step back, reflect, consult, reflect again, consider the options, and then take action. Absolutely. I am a firm believer in leadership coaching and my coach will verify that I work her very hard! As mentioned above, I will continue to try to be the best that I can be – who knows where that will take me. And I will endeavour to inspire and motivate others to be the best that they can be, too, whether in the workplace or outside of it. Because that’s all anyone can ever ask of you. Previous PostJunior IT BA needed at Societe Generale | City of LondonNext PostAre you self promoting for success?